We offer fast, highly reliable Ethernet and fibre broadband connectivity throughout the Worcestershire area. 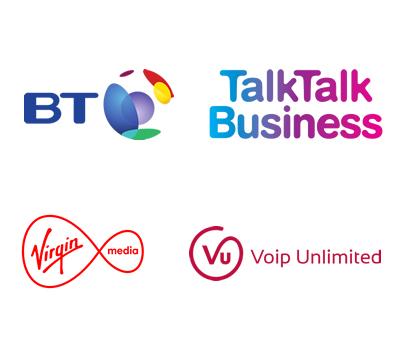 Backed by industry leading partners such as BT, Virgin and TalkTalk Business, complete with managed hardware and strict SLAs we’re able to provide the best infrastructure packages available. Want a well known, reliable carrier for your IT infrastructure with a single point of contact and UK based support? Ethernet solutions deliver internet connectivity as a point-to-point link between you and the Internet Exchange with no contention, meaning the serving exchange does not lump your traffic with anybody else’s and the line is not shared. You should consider Ethernet over standard broadband when your main priority is reliability and the cost of lost connectivity is much greater than the price of the line itself. Ethernet services offer fast repair (5 hour fix) and quick installation lead times (30 working days) and are popular with customers who need a more enhanced service that cannot be achieved using broadband technology. Not sure if you’re quite ready for Ethernet? No worries – we also provide ADSL and SuperFast Fibre too! and take a look at our Hosted VoIP for the best in future-proof telecoms!